Site founder Dan Cosley is an internationally-distinguished musician who has won high praise for his virtuosic performances, eclectic compositions, & innovative arrangements. While living in Portland, he also served as conductor of the Portland Community College Chamber Ensemble, and was also a member of the guitar and composition faculty. In 2017, he retired early from academia and relocated to Kyoto, Japan, to intensify his composition and performance activities and establish wayoftheguitar.com, a comprehensive online training system for fret-board harmony, aural skills, and improvisation. 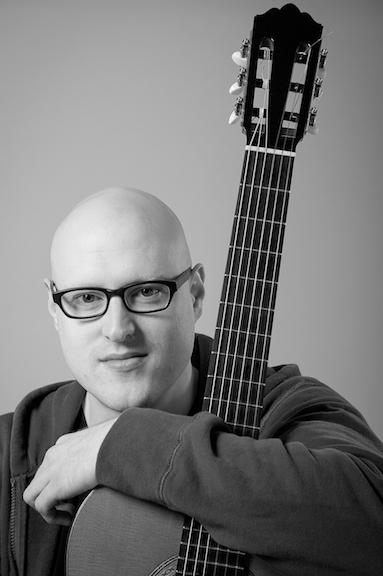 A seasoned classical performer, Cosley has premièred works by the world’s leading classical guitar composers, including Roland Dyens, Stephen Goss, Atanas Ourkouzounov, and Gilbert Biberian. He has performed with many artists outside of the classical domain, including Norihiko Hibino, Samm Bennett, and Chris Broderick (Megadeth). Notable collaborations include duos with guitarist-composer Nathan Kolosko, and session work for producer Michael Hoppé, head of A&R for PolyGram Records (Vangelis, The Who, ABBA). In 2016, Oregon Koto Kai, one of America’s top Japanese music ensembles, commissioned Deep River, a trio for two 13-string kotos and 21-string bass koto. The ensemble premièred the piece at Portland State University for their 5th Anniversary Gala concert.